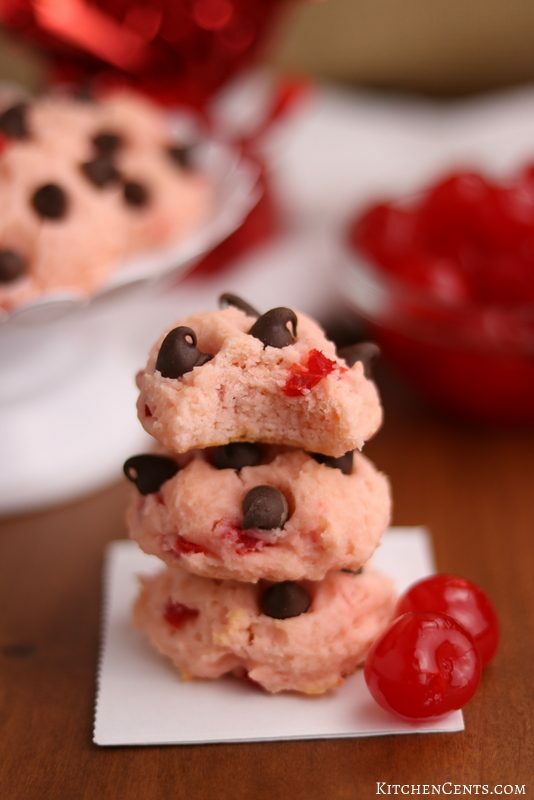 Cherry Chocolate Cookies – Tender cream cheese cookies filled with bits of maraschino cherries and chocolate chips! A perfect flavor combination for any occasion! 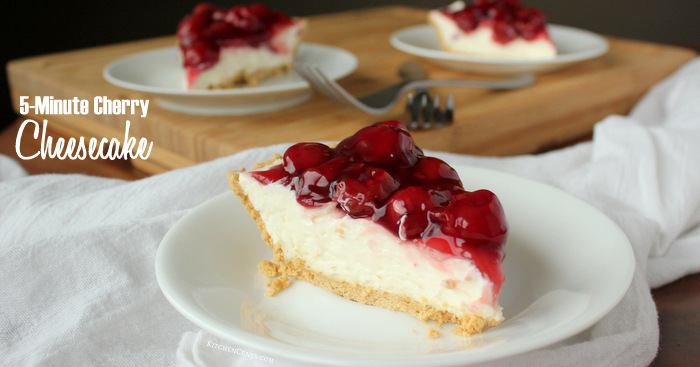 Cherry and chocolate are like peanut butter and jelly. Chocolate chips and cookies. Rain and sunshine. They’re a fabulous flavor combination that will bring happiness to your mouth. Mix those flavors into a tender creamy cream cheese cookie and it’s like magic. 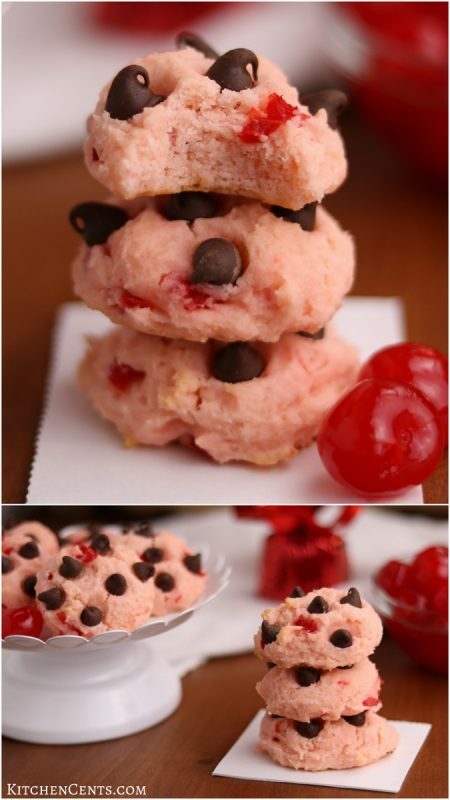 These tender pretty pink cookies are delicious. Perfect for the holidays or Valentine’s day with bits of bright red cherry pieces and chunks of chocolate baked right in. A fabulous cookie treat to share. It will be love at first sight for all the cherry chocolate fans in your life! 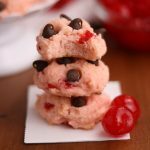 Cherry Chocolate Cookies = Easy and Delicious! These cookies only take about 30 minutes to make. They’re really easy and cheap to whip up. 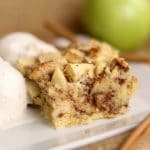 This recipe will make 2 1/2 to 3 dozen cookies when using a size 40 cookie scoop. Don’t already have this size? This scoop is most similar to the one I use. 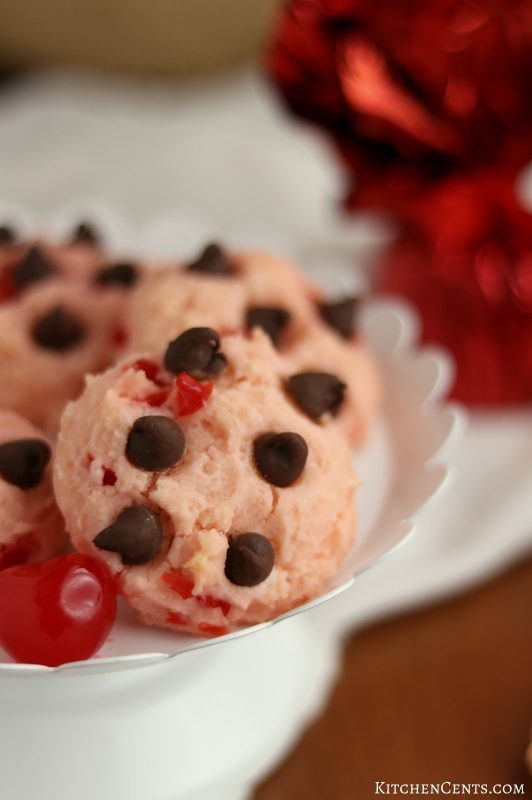 PRO TIP: to eliminate extra moisture that can alter the recipe and how this cookie bakes, after chopping the maraschino cherries, spread them on a paper towel. Dab the top to remove extra moisture. This will help the dough stay firm enough to scoop and release when you get ready to form the cookie dough. I was able to make these cookies for about $0.13 per cookie. Not too shabby! That’s a cheap dessert in my book. 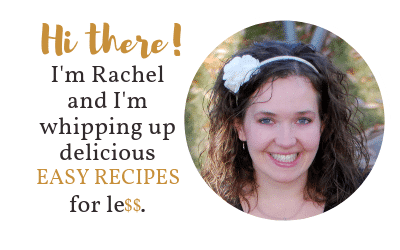 Find the full printable recipe below. Enjoy! 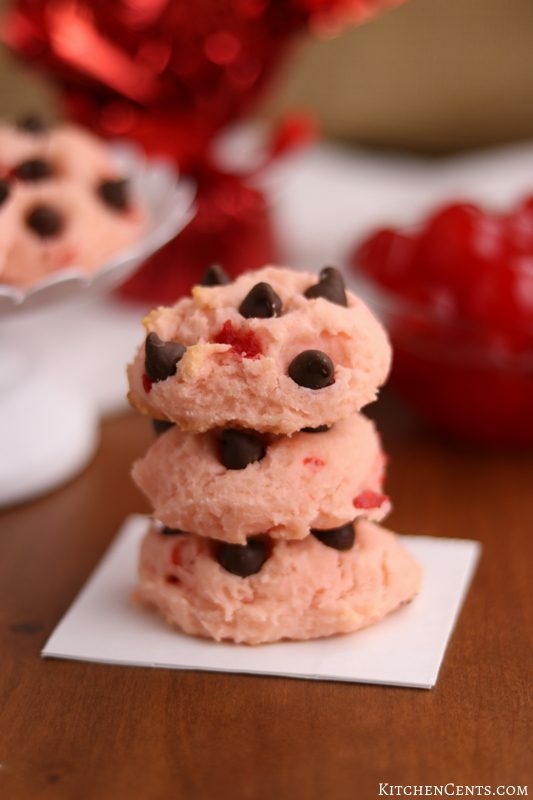 Tender cream cheese cookies filled with bits of maraschino cherries and chocolate chips! A perfect cookie flavor combination for any occasion! Cream together cream cheese, butter, and sugar until light and fluffy (1-2 minutes). 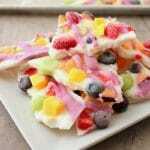 Add eggs, vanilla, and red food coloring (optional but so fun). Next, add dry ingredients (flour, baking powder, and salt). Mix until dough forms. The dough will be soft but still able to come out of a cookie scoop. 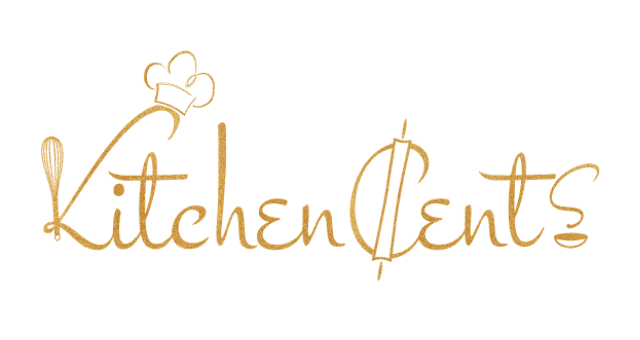 Using a size 40 cookie scoop, place 12-15 cookies on a cookie sheet lined with parchment or a silicone mat. Gently press top of cookie down to flatten to 3/4 to 1 inch high. Bake at 350°F for 12-13 minutes. Bottoms should begin to brown, peaks on the top of the cookie may start browning but the whole cookie should not be brown. If over baked the cookies will go dry and crumbly. Remove and place on cooling rack or paper towel. PRO TIP: after chopping the cherries, spread on a paper towel and dab top with another paper towel. This will eliminate extra moister that can affect the cookies. Hi Jenny! They are delicious! Thanks for stopping by. 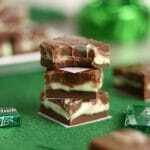 I would like to know how to pin your recipes? So sorry Rachel! I was having issues with my pin button. It has been enabled again so you should be able to hover over the image you’d like to pin and click the pin button. Thanks for stopping buy!